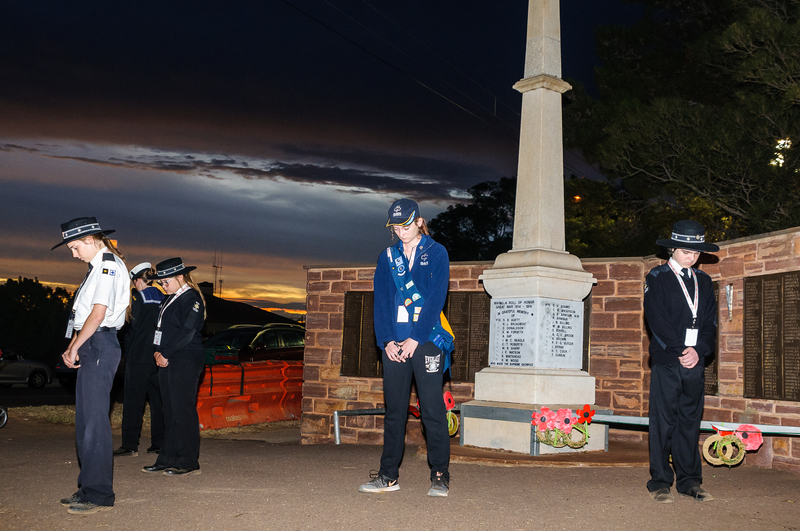 The Whyalla ANZAC Eve Vigil is on again! Established in 2009, this youth inspired commemorative ceremony will see youth, aged 9 years & over, from Whyalla & the surrounding region come together to pay their respects to our past & present military services personnel by taking part in a formal 12-hour “Holding Ground” ceremony. 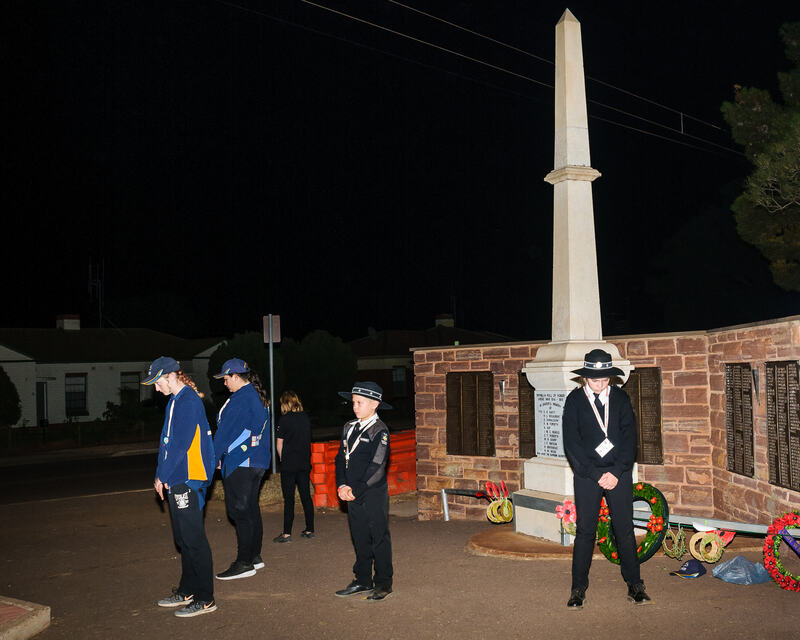 Teams of youth representing a variety of organisations will work in small teams to guard the Cenotaph throughout the night leading into Anzac Day. The Vigil will begin with an Opening Ceremony, starting at 5:45pm on Wednesday, 24th April. This will include a Tribute Laying service. Anyone wishing to place flowers, a wreath or other significant items of respect are welcome to do so at this time. During the Opening Ceremony, the first youth Honour Guard party will take up their posts around the Cenotaph commencing the Anzac Eve Vigil at 6pm sharp. 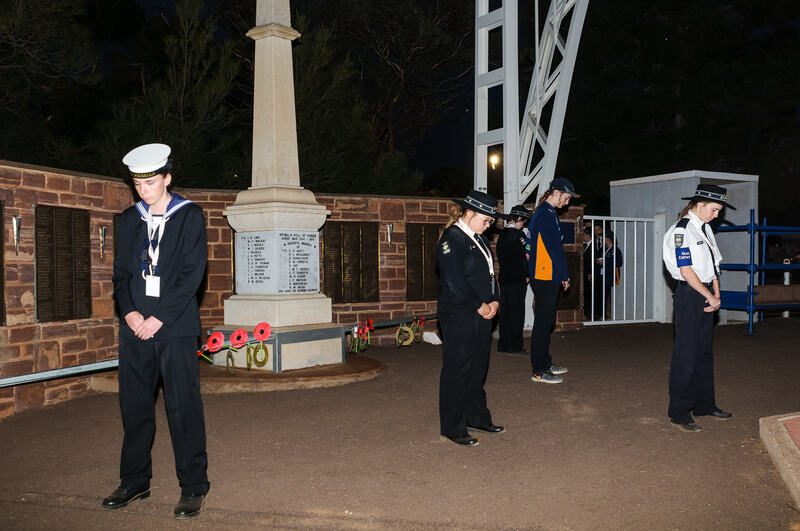 The final youth Honour Guard party will leave their posts at 6am, concluding the Vigil and handing over Honour Guard duties to the Whyalla Navy Cadets just prior to the ANZAC Day Dawn Service. • Find & like us on Facebook.